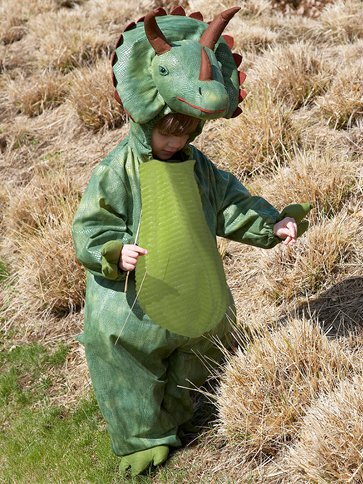 Hours of imaginative play are guaranteed from this cool triceratops dinosaur costume. 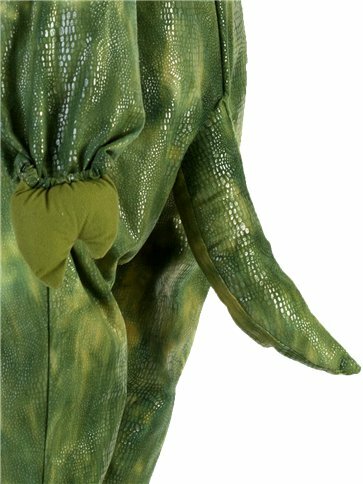 The green material has a shimmery scaled effect, with a big soft tummy. Padded claws cover the hands and feet and a padded tail sticks out the back. 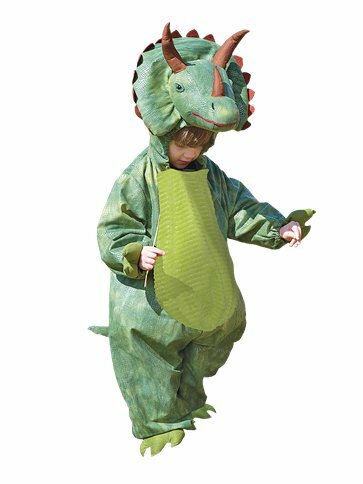 The attached hood features a lifelike face with padded horns and spikes.